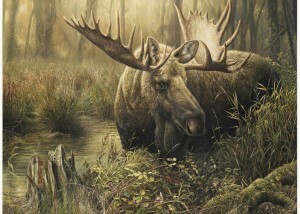 Canadian artist Denis Mayer Jr. has earned international acclaim for his unique style of wildlife painting that offers not only remarkably realistic representations but also images infused with energy, vitality and warmth. 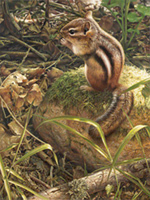 A native of Qu�bec City, Denis knew from childhood that he would be an artist. He initially worked with his father, a commercial sign painter. This training served as a foundation as he privately explored drawing in charcoal, bringing his talent for capturing detail to depictions of both still lifes and built structures. He then worked for many years creating accurate and appealing architectural renderings as well as commercial illustrations for advertising.